To speak about art is to evoke the hand of the creator who produced the work. It is to confer to its gestures the importance of thoughts and to explore their point of convergence on the canvas or the stone. With this text, Henri Focillon delivers one of the most beautiful odes to the hand and, simultaneously, to the talent of artists, studying Hokusai, Cézanne, and even Rodin. What do artists such as Rembrandt, David, Gauguin, and Hokusai have in common? 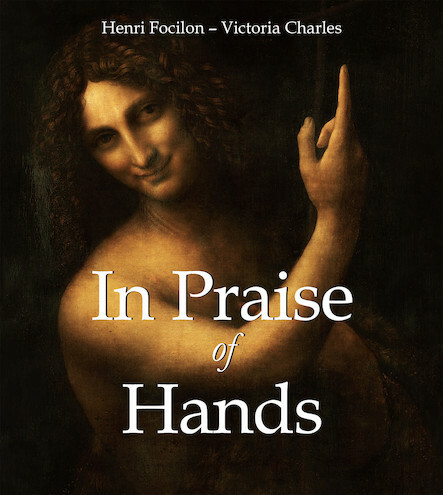 A virtuosity of the hand, replies Henri Focillon. The viewer often forgets that behind the works, it is first and foremost a hand and its fingers which guide the paintbrush, the pen, or the stylus. Focillon’s text recalls the importance of this part of the body, in which the artist’s talent comes to life. Within his text, he grants the hand the recognition that it deserves.